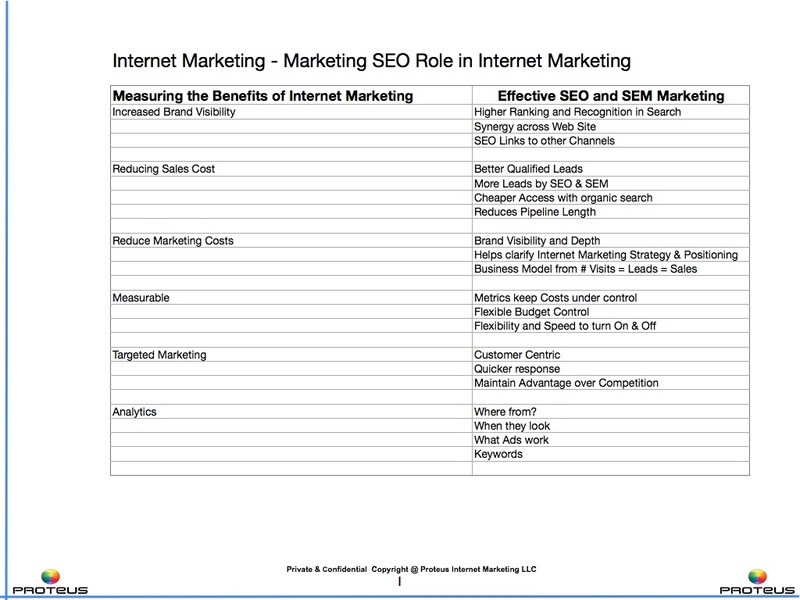 The basic example above breaks down Internet Marketing into 2 Basic Elements Visibility and Branding weighting them 70% and 30% respectively, for this illustration. 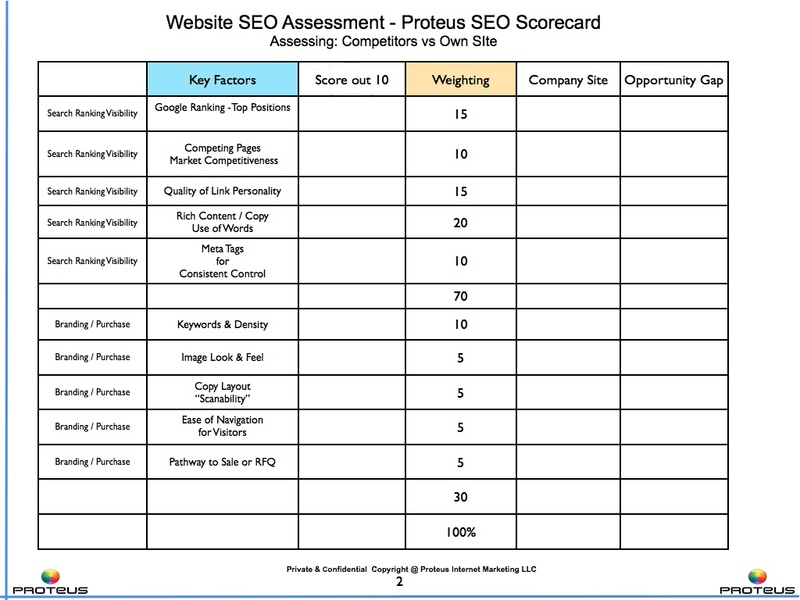 The metrics and analytics of the Marketing SEO Scorecard helps to focus on internet marketing gaps, especially your internet competitive SWOT, and I am sure can be improved upon, comments and feedback is welcome. Search Engine Optimization: It’s Not Just the Words, It’s getting them in the right order!